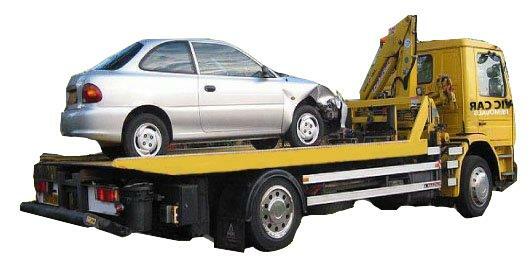 Car wrecker Perth is a part of Speed Car Removal. Sometimes a car is worth more when it is scrapped- that is, provided you have excellent car removal specialists that know how to break up the vehicle to salvage the absolute most to recycle, resell and reuse. Car Wreckers Perth are that auto wrecker as our car wreckers are superb at dismantling vehicles for maximum value. Car Wrecker Perth’s Car Wrecking services focus on convenience and no hassles for our customers. As auto wreckers, we know how to get the most value from your vehicle whatever its make and condition. Our wrecking services are always free to our customers, and always leave cash in their hands. Car collections are scheduled by giving us a call for a quote on your vehicle, accepting the quote, and then scheduling a free removal. We provide all the necessary paperwork, so that is hassle free, as well. We will then load, remove and pay you for your auto and bring it back to our state- of- the- art wrecking yard where our wreckers get right to work dismantling your vehicle to recycle and recondition. When the process is done, your vehicle is in the form of new parts, steel, and metals. With experienced auto wreckers that know how to get the most value from your auto, you are assured the best cash. For more information on our auto wrecking services that are always free, give us a call at 0497 843 353. Whatever type of vehicle, whatever make or model, whatever age or condition, we will remove it for free even if it is broken into pieces. We offer up to $6K on your unwanted car removal anywhere in Perth. And, Any Other Type of Motor Vehicle, Running or Not!There’s no need to hassle elsewhere trying to locate a free car removal or haggle over price when you can call Car Wreckers Perth. Contact us via telephone at 0497 843 353 or complete our “Instant Cash Offer” located on this page. Provide us with a few details about your vehicle, so we can offer you a cash offer on your car, truck, van, SUV, 4×4, commercial vehicle, ute, Jeep, etc. removal. Wherever you are in Perth, we will come the location and remove it for free. Accept our cash offer up to $6K and we’ll then schedule an appointment. Our car removers work 24 hours a day, 365 days a year, so any time is a good time. We arrive, with the cash offer, as well as all necessary paperwork in our hand, and make the deal! All that is required of you is to collect the cash. We load, transport and dispose or sell the vehicle, so you have absolutely no concern. Car Wreckers Perth is an eco-friendly company that always practices green standards. Our car disposal process is one that avoids dangerous landfills as we recycle, reuse and resell all the parts and metal of the vehicle. Our expert car wreckers promptly go to work dismantling the vehicle to remove all parts and components; once removed, we then crush its metal into scrap metal to resell and reuse. The entire process is one that is green, leaving the least impact on Mother Earth, and putting the most money in your pocket. Car Wreckers Perth accepts all makes and models of any age and condition. Whether you have a broken down Toyota, a hard to sale Mercedes, an accident Ford, or a rusted out Subaru, we will come to your location in Perth and perform a free car removal that puts up to $6K cash in your pocket. When you hire us, you hire a processional that works for you! Services at “Car Wrecker Perth” was fantastic with the removal of my Car and the Payments I got for my old Cars on the Spot. When you choose us, you choose a car wrecker in Perth that not only pays top dollar, we are fast, friendly and convenient. Our car appraisers are experts in knowledge of all types of vehicles and are able to offer our customers top dollar cash for cars offers. Our eco-friendly process means your vehicle never ends up in a landfill, which means the least impact on Mother Earth. Like our exceptional car removers, our fleet of vehicles is also exceptional, allowing our car removers to remove any size and shape of the vehicle. When you call us, you call an eco-friendly company that is professional, paying you up to $6K for your free car removal in Perth. There’s never a charge whatsoever, just friendly service that is fast and efficient. For a fast and efficient car removal in Perth, give Car Wreckers Perth a call. With one call, we will offer you a cash offer up to $6K cash, paid to you at the time we perform your free Perth car removal. We accept all makes and models of any age and condition, running or not.